We are pleased to work with local builders whose integrity demands fine craftsmanship, quality work and consistently excellent customer service. They are continually inspired by the dreams of their clients. Adams Homes is a full services residential design and construction company, providing design, construction documents and construction for residential projects in the front range area. We offer design and/or construction services on projects ranging from basement finishes to new homes. We provide construction services for our own designs as well as construction on projects designed by others. Adams Homes brings a unique talent of highly crafted homes to the Colorado Front Range at an affordable price. Note: There are only 3 lots left to choose from off of Cuda Ct. in the Enclave at Berthoud Lake. 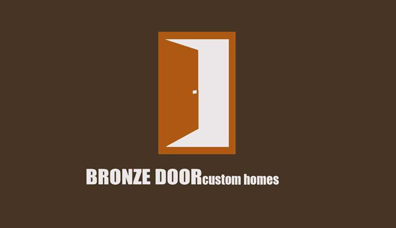 Bronze Door Homes brings the excitement back to building a home! Common sense, practical experience and a passion for good design are just a few good reasons to start a conversation with this exceptional team. "While its true that we employ some of the finest craftsman in the state, the founding of Copper Homes Limited wasn’t based solely on the need to build a better house (although we think we do that too), but rather to deliver a better experience. Andrew and Kaly Batson honed their skills over twenty years as real estate brokers helping families negotiate one of the largest financial decisions of their life. While helping so many clients purchase new homes they recognized that none of the home builders were structured around the needs of the customer, but rather what worked best for the builder. "We shape our buildings: Thereafter, they shape us." When they had the opportunity to purchase the luxury lake development at Pelican Shores, Andrew searched for a builder partner that he felt could provide the style, value and level of service that he would be proud to offer to his home buyers and just didn’t find any builders that satisfied his criteria and thus Copper Homes Limited was born. Andrew’s background in the tech industry as CTO of LenderLive Network and as a real estate broker owner, coupled with decades of building experience from our senior management team resulted in a truly different kind of builder. We understand that the customer wants transparency…there is nothing worse than going to a design center and paying twice what something ought to cost. When it comes to the most luxurious of custom homes an integrated design team that thinks outside the box to make your wildest dreams come true. And we realize that everyone has a budget and we pride ourselves on our accurate and detailed line item budgets that we keep updated throughout the process so you’ll know the cost implication of all your decisions." Click here to see .pdf renderings of: Draper Farmhouse, Platte Ranch House and Shelter House.